Eric Chiu is a writer at Ecommerce Magazine, which exists to highlight digital innovation in the fast-growing industry of e-commerce. For any ecommerce professional, skill development and networking are valuable tools worth having in your back pocket. Knowing the latest trends and updates in the ecommerce space ensures that you’ll be well-prepared to take on challenges in your workplace. The 3PL & Supply Chain Summit focuses on logistics and supply chain topics and features opportunities tailored for specialists in this space. Along with dedicated networking opportunities and more than 900 estimated senior attendees, the conference will feature executive speakers from companies including UPS, Home Depot, and IBM. For digital marketers, the Affiliate Summit features an international lineup of attendees coming from industries including publishing, retail, and agencies. Affiliate Summit’s two bicoastal sessions in New York and Las Vegas will also feature tradeshow areas, talks by industry professionals, and networking opportunities. B2B Online brings together professionals from the ecommerce and marketing spaces to focus on education and professional development. Attendees at the annual conference come from major brands such as GE, 3M and Lenovo. At Catalyst, attendees in the ecommerce and retail spaces can learn about the latest trends in the market and also gain additional knowledge about resources from conference host ChannelAdvisor. Past keynote speakers have included Martha Stewart, NYU Stern School of Business professor Scott Galloway and ChannelAdvisor CEO David Spitz. For ecommerce specialists in fields including analytics and research, Click Summit features a tailored schedule of events and talks to build your knowledge base. Past attendees have come from companies including eBay, Lowe’s and Microsoft. Specialists in the card-not-present space will find opportunities specifically built for them at the CNP Expo. With dedicated educational panels and talks, attendees can learn the latest trends and developments in the card-not-present space. 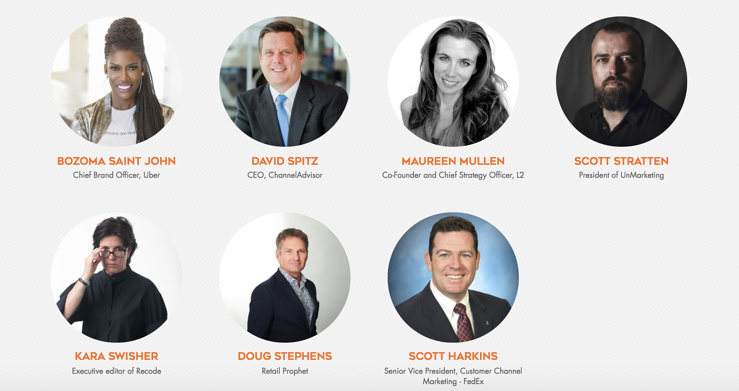 Digital marketing specialists will find much to draw from at CommerceNext. The conference features intimate talks and events that will help attendees stay on the cutting edge of customer retention and marketing strategy. Featured talks for 2018’s event will focus on topics including artificial intelligence, Amazon, and home voice assistants. At D3 USA, supply chain analysts and specialists will come together to talk about the latest trends and developments. Topics for attendees include the growth of warehouse automation, developing an approach towards supply logistics, and forming partnerships with retail suppliers. Marketing specialists in the travel and hospitality industry will find a specialized suite of opportunities at the Digital Travel conference. 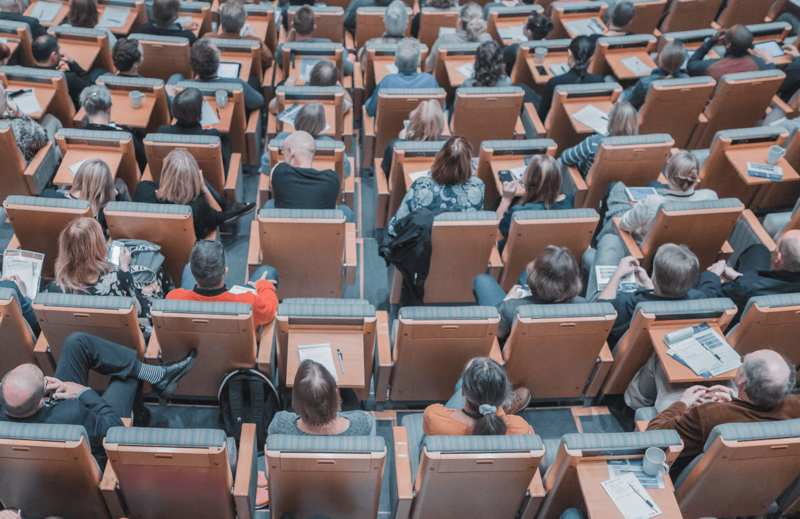 Educational talks will focus on how to maximize customer bookings with technology and keynote speakers from companies including Google, Marriott International, and Hilton Worldwide will be in attendance. As Canada’s largest conference for digital marketing, DX3 features a deep slate of opportunities for marketers and other specialists. For 2018, the conference features an estimated 3,800 attendees, more than 60 speakers, and numerous exhibitors. Featured attendees include companies such as Square, McDonalds, and Adidas. For high-level ecommerce and development professionals, the eCommerce Innovation Summit features a slate of talks and events tailored to your needs. Featured speakers include senior executives and staffers from companies including Conde Nast, Facebook, and Blue Shield of California. Elsewhere, talks will focus on trending topics such as mobile shopping, cross-channel marketing techniques, and chatbots. The Ecommerce Operations Summit is specialized for employees and workers in the backend development aspects of their retail ecommerce operations. Talks will focus on topics like refining the customer checkout experience and shipping logistics with speakers from companies such as Lane Bryant, Starbucks, and Abercrombie & Fitch. Past attendees have come from retailers such as Newegg, Gilt, and Crutchfield. Major retailers who want to improve and develop their ecommerce operations will find much to draw from at eTail’s three conferences this year. At each event, executives from companies including Wayfair, Neiman Marcus, and Gap will discuss the latest trends in the ecommerce technology and strategy for attendees. For ecommerce specialists who focus on delivery and retail logistics, Home Delivery World features an exclusive emphasis on the field. 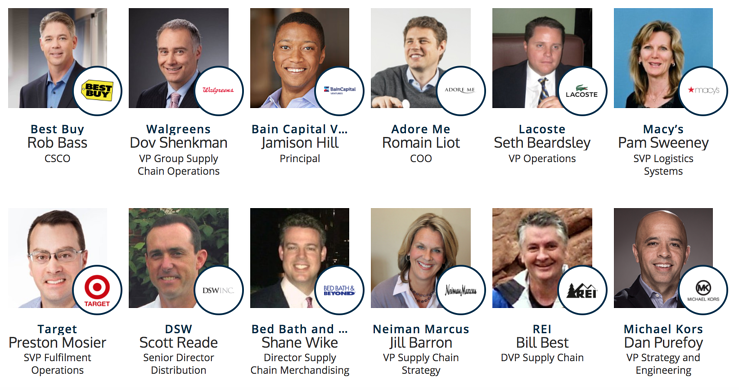 Speakers from companies including Uber, Wal-Mart and Home Depot will talk about how they’ve iterated and improved on delivery logistics and shipping for their companies in detail. The event is slated to feature more than 300 speakers and over 2,000 attendees. Ecommerce professionals in England and Europe will find numerous ecommerce resources at the Internet Retailing Expo. Along with opportunities for professional development and education, featured exhibitors and speakers include Amazon Business, Feefo, and Sainsbury’s. At the Internet Retailer Conference and Exhibition, attendees can take part in talks and workshop sessions designed to make the most of their time. The event will see an estimated 3,100 companies and over 10,000 attendees from the ecommerce and marketing spaces. At Luxury Interactive, ecommerce professionals from upscale and exclusive online retailers can find seminars and talks specifically tailored to their boutiques audiences. 2017’s keynote speakers included executives from Neiman-Marcus, Tiffany & Co., and Barneys New York. At Magento’s Imagine conference, ecommerce professionals from around the world will be able to attend talks and sessions to stay up to date on the latest industry trends. Along with networking opportunities, the event is expected to see more than 3,000 attendees and will showcase speakers from companies including Gallup, mediaspa, and JH. While most ecommerce conferences are held on either of the coasts, the Midwest e-Com Conference offers an opportunity that’s closer to home for many attendees. The event will feature small to mid-sized sellers who will offer networking opportunities and knowledge on how to expand their businesses and approaching marketing as a business. Ecommerce solutions provider Miva hosts this conference that focuses on networking, professional development and education in California. At its 2017 event, Miva employees and other speakers talked about current trends in search engine optimization and advertising. Mobile Connect is an invitation-only conference that offers a unique opportunity to high-level executives in the mobile and ecommerce spaces. If you’re one of Mobile Connect’s 75 invitees, you can look forward to conferences that highlight current trends like ecommerce on mobile platforms and gamification alongside attendees from companies such as Adidas, Coca-Cola, and Delta. Payment systems form an increasingly important backbone for modern ecommerce operations and Money20/20 provides a space for professionals in this space to meet up. At any of Money20/20’s four international events in 2018, ecommerce professionals can learn more about track subjects such as digital banking, processing international payments, and understanding how to protect their data against malicious breaches. Cybersecurity and payment protection is among the central focuses of MRC Vegas. At this conference, more than 1,500 attendees from 450 companies will take part in seminars and discussions that focus on ways to keep internal ecommerce standards up to date. For marketing and technology professionals in the ecommerce space, MTC Expo features a slate of opportunities tailored to interests like lead generation and campaign strategy. Past featured speakers have included public figures like philanthropist Bob Geldof and athletes Magic Johnson and Sugar Ray Leonard. As you attend events in 2018 and increase your ecommerce knowledge, take advantage of our marketing tools for growing your ecommerce business.